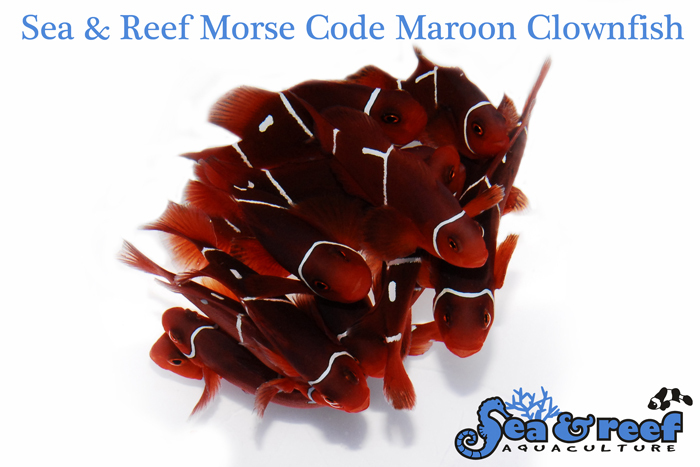 Sea & Reef’s new Morse Code Maroon Clownfish (from PNG no less)! First posted at Reef Builders on February 3rd, 2014. Sea & Reef Aquaculture announced the release of their new PNG-lineage “Morse Code” Maroon Clownfish, Premnas biaculeatus. Lovers of the Lightning Maroon Clownfish, or for that matter any of the unusual Maroon Clownfish that came out of Papua New Guinea (PNG) from SEASMART or the later EcoAquariums PNG, will recognize these distinctive looking Maroon Clownfish. There’s more to the story of course.